Definition.net is a free online dictionary that very much useful for many of the people. You can use it to look up the words in a convenient manner you don’t need to have a heavy bound book lying around you. Using this online dictionary is as simple as going to the website and typing in the word. It includes word definitions in different categories. For example, in the following link https://www.definition.net/define/yelp you can see the definition of yelp as primary meaning and also in slang. 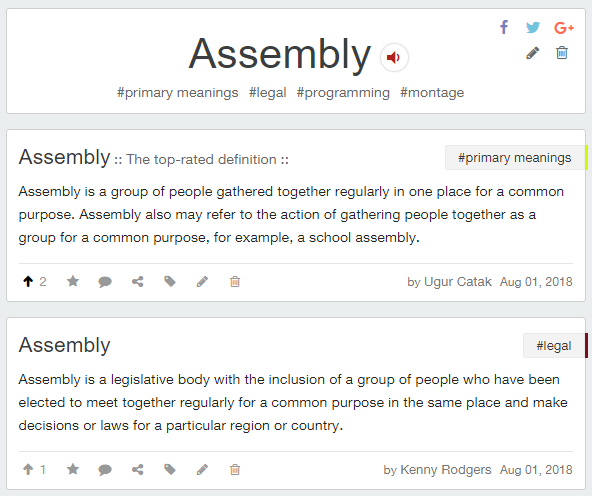 Another example in the following url, https://www.definition.net/define/assembly, you can see that meaning of assemble in programming, legal meaning, primary meaning, etc. This option is very convenient for people who write for a living or who are responsible for communicating using the written word often in their job. This is actually a handy tool that easily accessible and you will not have to step away from the computer to find a printed dictionary. Children and college students may also use this dictionary that is available online quite handy. Definition.net is quite comprehensive. It contains both the online dictionary and the online thesaurus. When you are searching for the meaning of a word, the definition will be returned very fast. You can also search according to the category of your searching word. This online dictionary is also quite convenient as it gets updated frequently. As the language evolves, dictionaries need to be updated. The dictionary you may have this year may not be complete next year. Technological advances add new words to our vocabulary that cannot be found in older dictionaries. 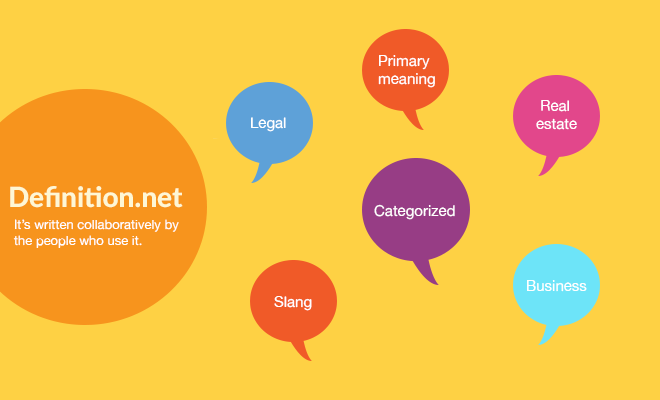 There are also slang words that evolve and become the part of our vernacular. These items will show up on this regularly updated online dictionary but will find them in printed dictionaries that are older. Instead of having to buy a new dictionary each year to stay updated with the changes in the English language, you can simply use this online version and get the most available up to date information. The same thing is true for the word meanings. Often a word is used in such a new way that begins to catch on. Older printed dictionaries will not be able to give a complete definition of such words but this online version of the dictionary will. Not just the direct meaning but unlike other dictionaries, this online part will give you a complete definition of the word with proper examples. If you are searching for the meaning of a word, you will get the part of speech, phonetic, part of speech, citations, pronunciations etc. These features make this standalone and different from other available online dictionaries. This is also an etymological dictionary that comes with the etymology of each word that means the historical origin of its. So, in a word, with this dictionary, you will get all in one details of a word you are looking for the meaning. Even you will be able to get a numerological meaning of a word too. If you are busy in your work and don’t have much time to open a dictionary, just add the extension of definition.net to your Google Chrome and get instant access to it. This one is surely a convenient dictionary option because it is really easy to use even for a person who is new on the internet. You will be able to save your own vocabulary list here for further use. According to a recent study, having more words at your disposal allows you to think faster and it also makes you powerful in discovering some new ideas and solutions than ever before. The probability of can is increased even if a source of wisdom or definition.net dictionary is consulted on daily basis. Its lexicographic structures establish a good link with data to meet the needs of the users and fulfill the function of a dictionary. This dictionary is a complete reflection of this definition and very much significant for the online writers, teachers or the students to read and write online and who have a great necessity of dictionary on a regular basis.